This Washington, DC rowhouse, built in 1891, was missing three stained glass transoms and local artisan Adams Morgan Stained Glass was hired to reproduce them. AMSG went next door and copied the existing original work, (1.) a door transom with gold leaf address numbers, (2.) a living room transom and (3.) a second floor front bedroom transom. Pictured is the bedroom transom, but also pictured is the work, in process, on the work table – – a thing of beauty in itself. 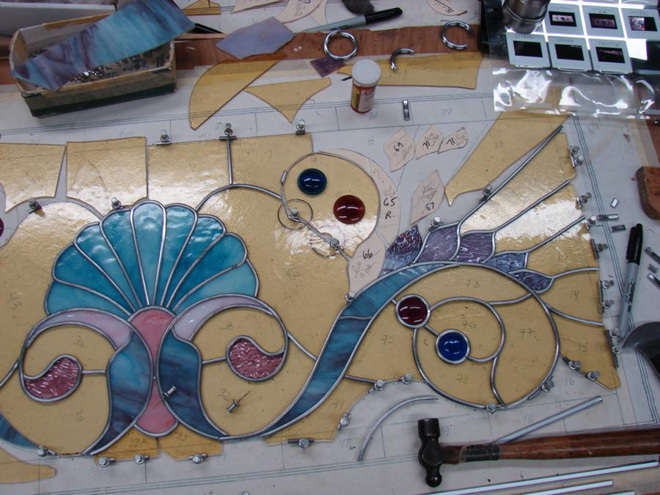 List of Stained Glass Restoration Specialists. 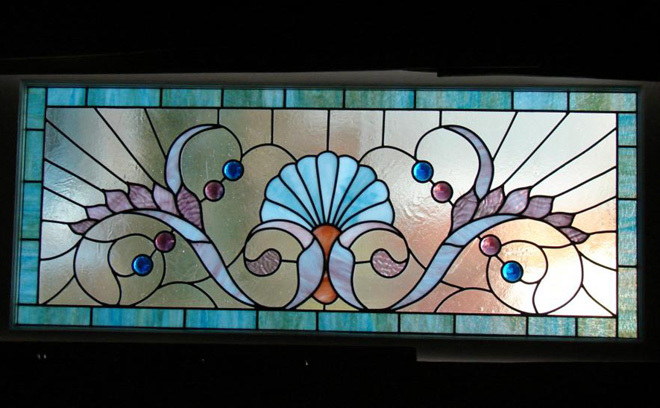 This entry was posted in Reproduction, Stained Glass and tagged Washington DC. Bookmark the permalink.